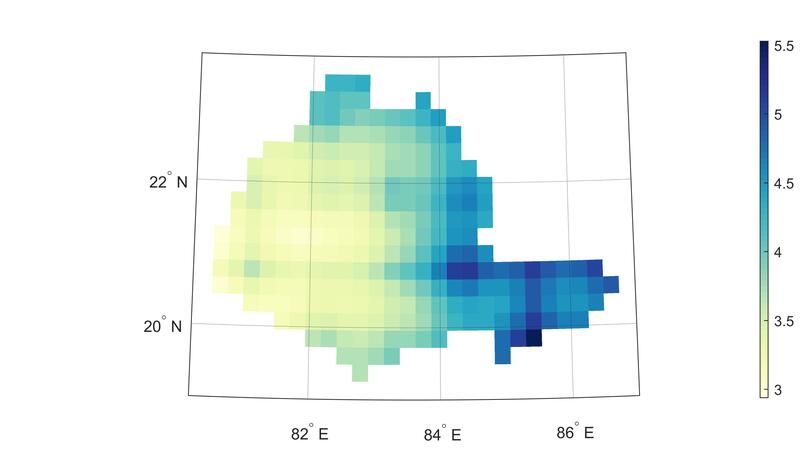 I want to plot a spatial map in which each pixel is of 0.25 degree spatial resolution in R. For this I have fill values at 0.25 degree grid spacing. 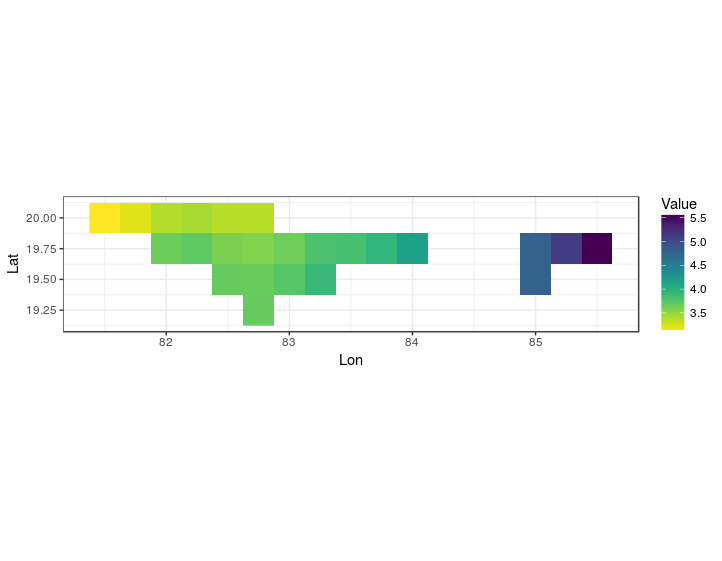 The map which I want to generate in R is shown below that I plotted in MATLAB. I used the data sample from the question. The viridis package is just for the colours. coord_fixed(ratio = 1) ensures that the spacing on the x and y axis will be equal, you can modify this by changing the ratio. theme_bw() is just to make the background white instead of the default grey theme. Note this is the bottom bit of your figure. Empty cells contain NA values. Not the answer you're looking for? 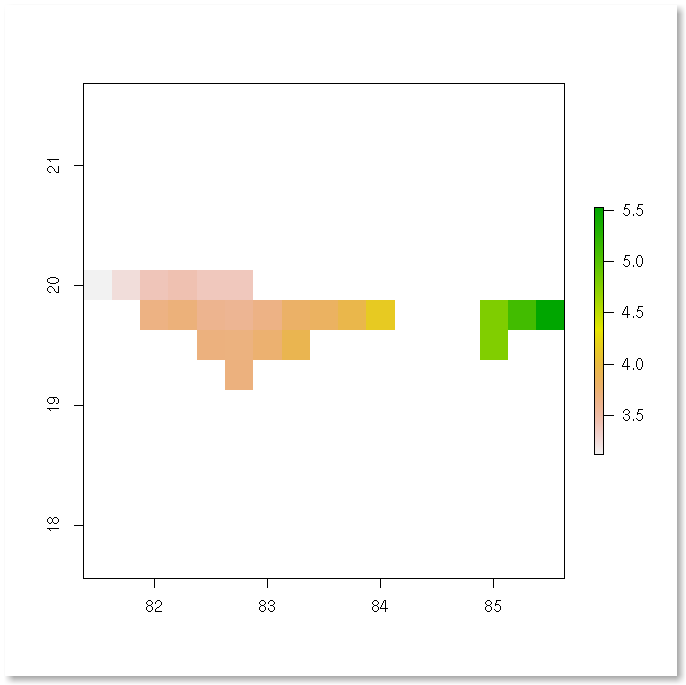 Browse other questions tagged raster r sp rgdal ggplot2 or ask your own question. how to plot gps coordinates on my own raster map?